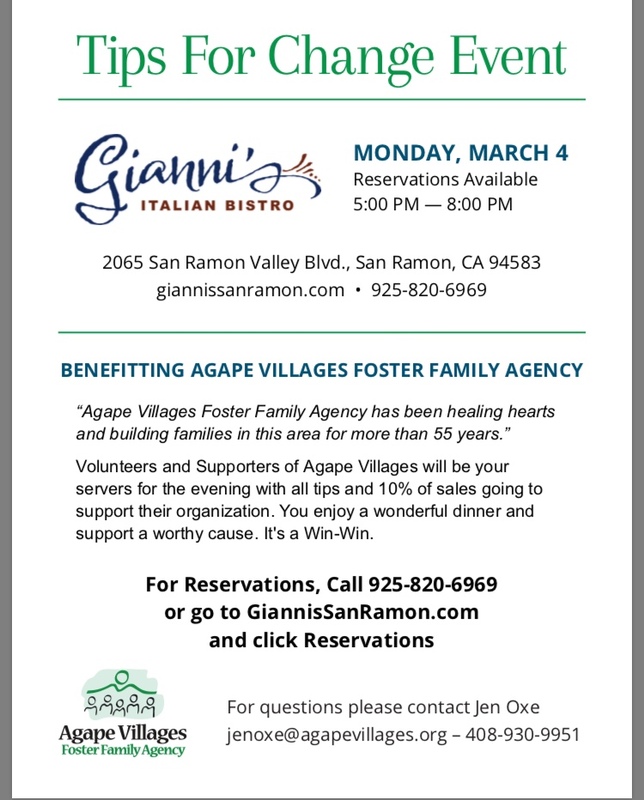 Volunteers and supporters of Agape Villages will be your servers for the evening with all tips and 10% of sales going to support their organization. You enjoy a wonderful dinner and support a worthy cause. It's a win-win. For reservations, call 925-820-6969 or go to GiannisSanRamon.com and click Reservations.